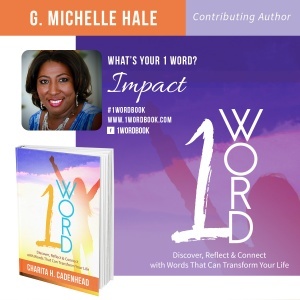 CLICK HERE TO ORDER YOUR AUTOGRAPHED COPY THE BOOK: 1 Word: Discover, Reflect & Connect With Words That Will Transform Your Life featuring co-author G. Michelle Hale. All orders from this page will be personally autographed by me, G. Michelle Hale. ABOUT THE AUTHOR: Michelle Hale is currently at Minister of Music at St. Thomas UMC in Sylacauga, Alabama. 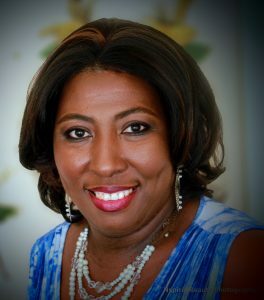 She is an avid reader and emerging writer who has published articles in The Christian Index, the official publication of the Christian Methodist Episcopal Church and The New Beginnings Newsletter, the official publication of The North Alabama Southeast District United Methodist Women. She is a member of the Central Alabama Writer’s Guild Alliance (CAWGA). She is currently submitting articles for publication. When she isn’t glued to a computer screen, she spends time volunteering, participating and supporting church activities, music functions and socializing with friends. She is a proud mother of 3 children, Carla Michelle Hale-Marshall, Melissa Ann Hale and Michael Carr Hale Jr., and (G.G.) to granddaughters Adrienne and Kennadi. Reach Michelle at gmhale67@gmail.com or on facebook at G.Michelle Hale.